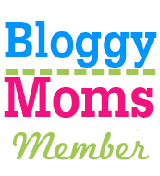 Latched On Mom: Snappis Baby Review & Giveaway! 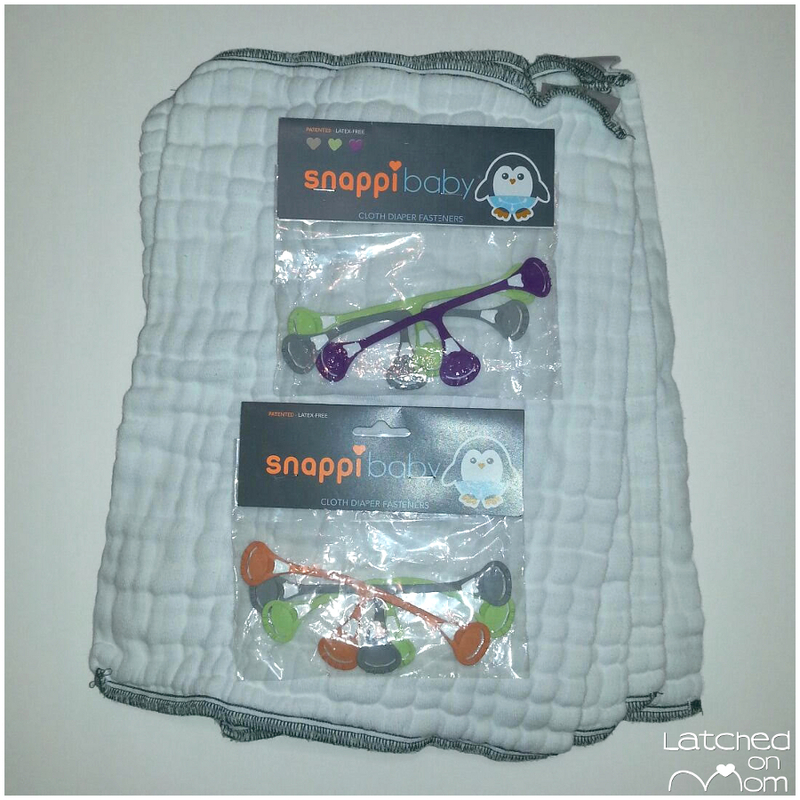 Snappis Baby Review & Giveaway! 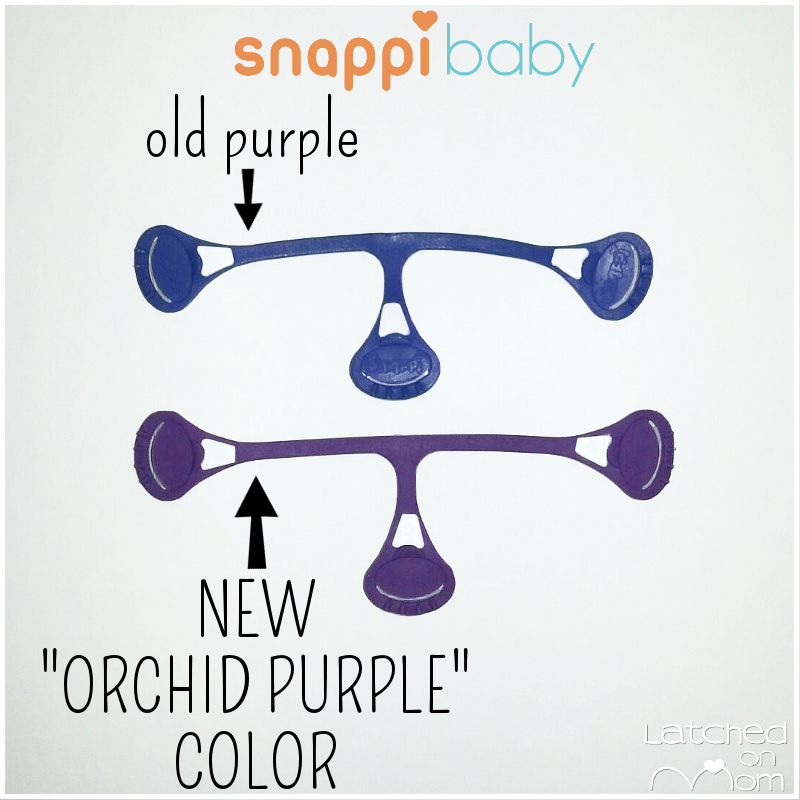 If you use prefolds, flats, contours or fitteds, you may already be familiar with Snappi Baby. 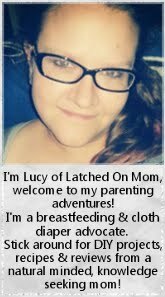 They are the modern day alternative to diaper pins! 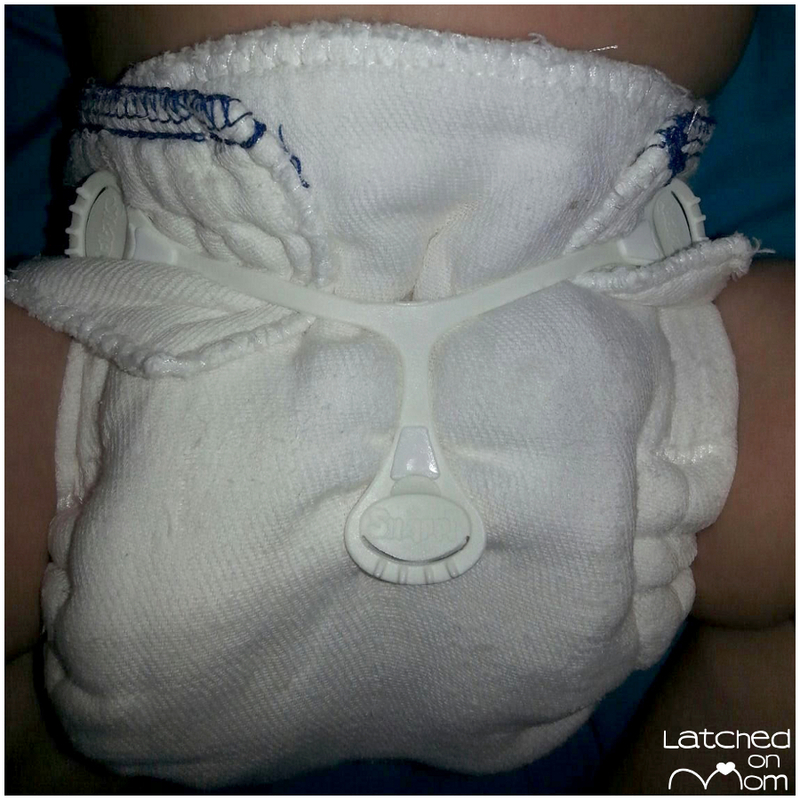 These handy diaper fasteners have 3 points to hold the diaper in place and help keep them secure. Made of a stretchy FDA approved polyurethane, they have teeth-like grippers similar to what the closures are like on wraps when you sprain your ankle. 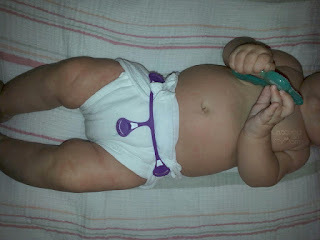 These teeth hold the cloth diaper in place without needing to use the “old-fashioned” diaper pins. I was always VERY intimidated of attempting to use diaper pins, so it's convenient to have other options available! 1- Lay out the prefold so it's flat. Keep any tags facing you. 2- Fold both sides in towards the middle. 3- Flip it over so the part that was facing you is now the backside and pull the top corners gently to create wings. 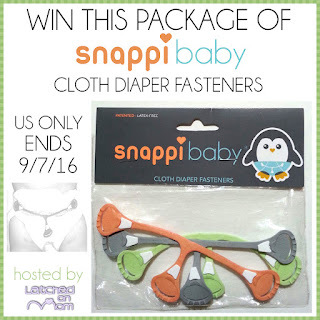 4- Insert baby, attach Snappi and put on cover! I made a quick little HOW-TO video on putting a Snappi on with a prefold and cover, check it out! I love how versatile Snappi is with your cloth diaper stash! 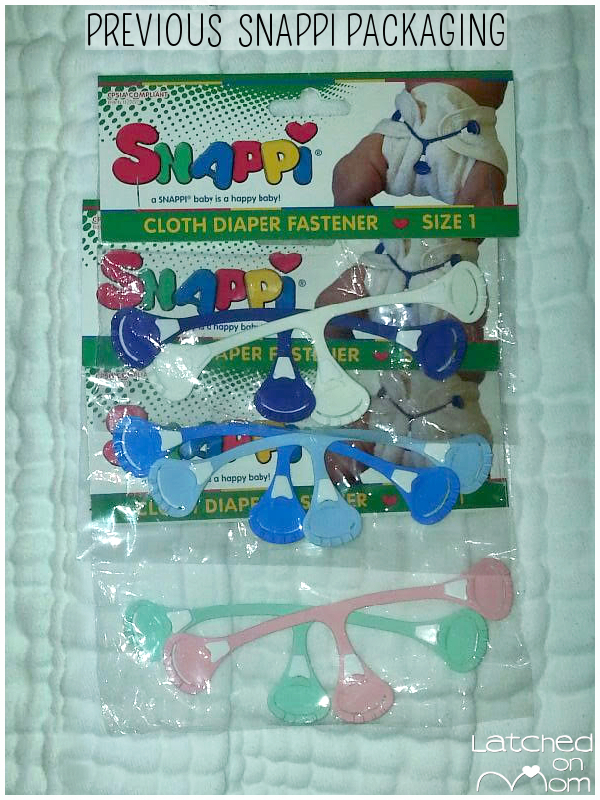 I primarily cloth diaper to save money and find it is much easier to do so with Snappi Baby! You can use a Snappi with flats, FST's (flour sack towels), and fitteds too! Fold one flour sack towel into fourths and another folded up into the middle for extra absorbency, then place baby in, attach Snappi and put on a cover! Here's a prefold I cut and sewn into a fitted, Snappi keeps it perfectly in place. 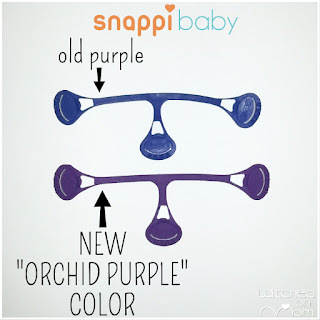 Snappi Baby has come out with some bright, new, fabulous colors! 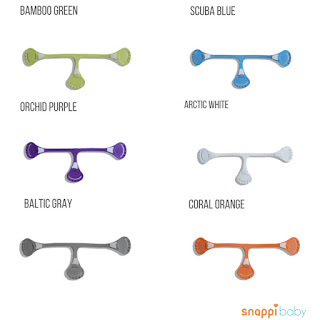 Bamboo Green, Scuba Blue, Orchid Purple, Arctic White, Baltic Gray and Coral Orange. I have several packs of the old colors that I bought when a favorite store of mine closed it's doors. So I figured I'd show you the change in colors! I really love the new Orchid Purple shade, don't you? The packaging has changed as well, as you can see the previous packaging in the photo below (however, some of these colors are currently still available on Amazon). Snappi come in two sizes, the size 1 fits up to approximately 16 months, then the size 2 fits from thereon. All the Snappi fasteners I have are size 1. 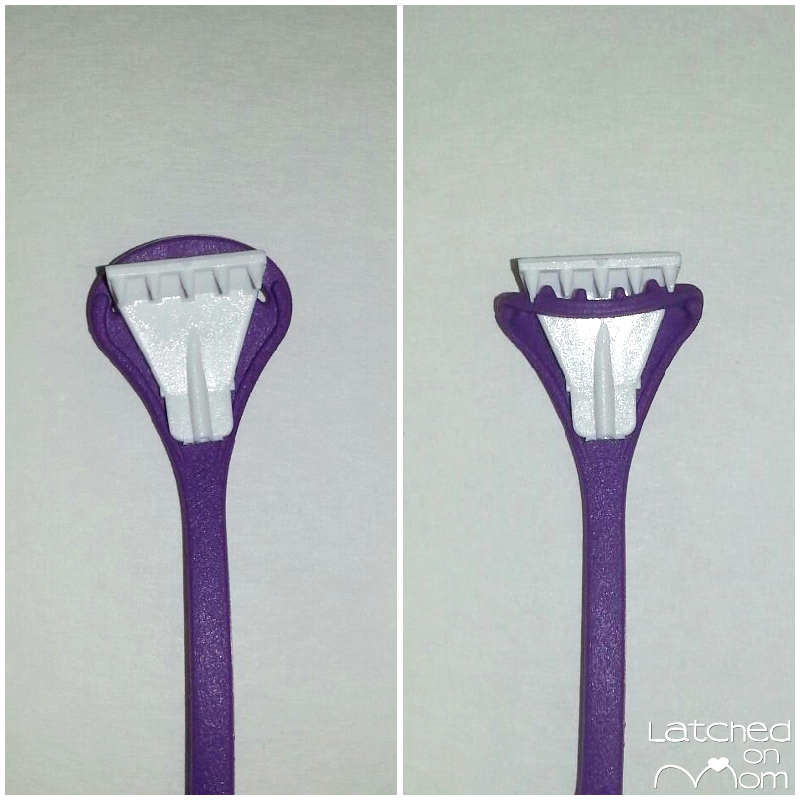 When you use a Snappi, you want to make sure there are several THICK layers for the teeth to grab a hold of and dig into. You also should place some sort of a cover over it. I use PUL covers mostly with prefolds and FST's but fleece or wool are also great! What are the benefits of a Snappi? They're simple to use- just 3 easy steps and no sharp pins to stick in around a squirmy baby. 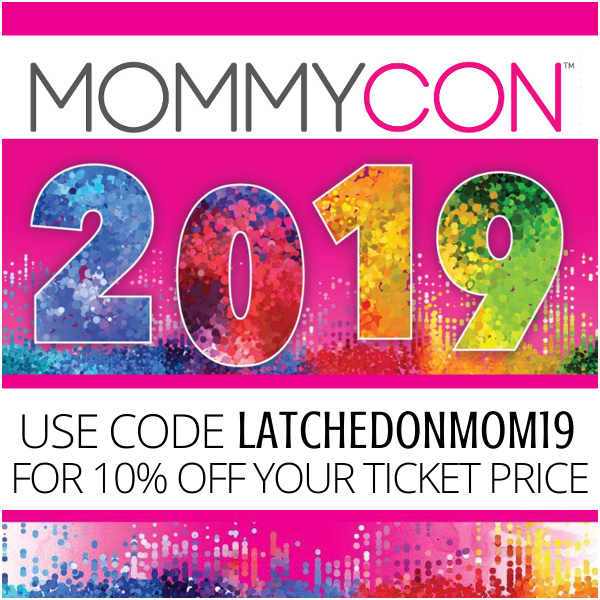 They are an affordable accessory in your frugal cloth diaper stash. They really are reliable to keep messes in since the diaper is more snug. They are easy to clean, you can use one Snappi for a very long time! Just rinse under water and it's clean! 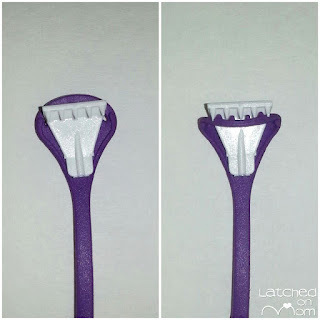 Here is another cool feature of Snappi baby- they have a loop that goes over the teeth as a safety feature, when they're not in use just hook the loop over as shown in the photo below and it'll help keep your kiddos from getting scraped by the teeth AND keep the teeth in good condition for future use! What's my favorite thing about Snappi Baby? Everything, they're affordable and easy to use! Is there anything I'd change? Nothing I can think of! I love these, definitely a must-have! I give Snappi Baby a 10/10! SHOP Snappi Baby on Amazon! LIKE Snappi Baby on Facebook! Follow Snappi Baby on Twitter! Would you like to give Snappi Baby a try? I am hosting a giveaway for the NEW Bright color pack of Coral Orange, Baltic Gray and Bamboo Green! To enter, just fill out the form below. Open to US ONLY. Must be 18 years of age or older. Void where prohibited. Giveaway will run from 8/31/16-9/7/16. Winner will be announced on this post as well as emailed. You will have 48 hours to respond or another winner will be drawn. I have used Snappi's over the years and like the new colors a lot. My favorite is Bamboo Green. I have used pocket diapers with my 2 year old son, but I plan to use covers, prefolds & diaper fasteners with our next baby who arrives in the spring. I would love to win this set & especially like the colors of scuba blue and orchid purple. Thanks for the opportunity. 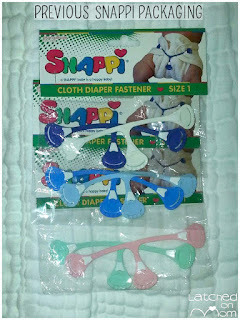 I haven't used Snappi's before, but we're hoping to cloth diaper our first little one, and the plan is to use prefolds! I would love some snappi's to get us started! The new orchid purple colors is great! I haven't used Snappi's before. They look like they would work great though! I like the bamboo green and scuba blue colors the best. Ooh I love that bamboo green!! So pretty!! I haven't used them before but would love to!! Love snappi fasteners! Used them with my prefolds and covers for over a year! I have been using my snappis for about 6 months on my little one and I love them! They make diaper changes so easy and quick. I never have issues with them not holding. They're great. Love the scuba blue and have never tried these but would love to! We used snappis (and cloth) for the first time with our second child and are now going to use them again for our third. Love them! 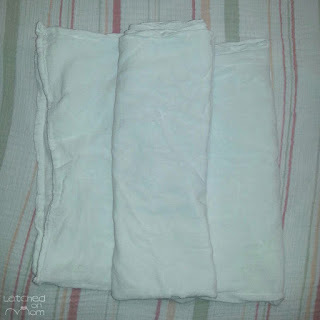 I've not used Snappis before, but am just getting started with cloth diapering. Super excited to try them! I love the new purple color! I've tried one I liked, I like that new purple color.